For the easy installation of keypads, telephone entry systems, and other access control products. 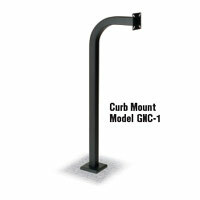 Rugged, weather resistant, powder coated rolled steel construction. Universal bolt pattern on base plate and faceplate fits all manufacturer’s products. Same as product number ACP00906.